fasten the bolts in the order shown above. 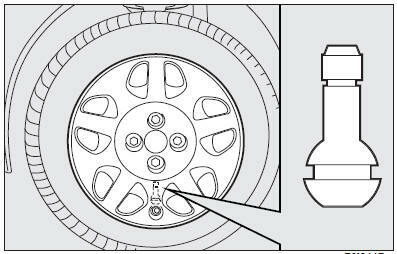 IMPORTANT Incorrect fitting may cause the wheel cap to come off when the car is travelling. 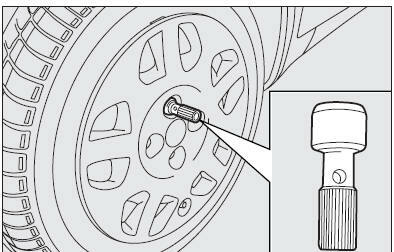 Fasten the tool container retainer (A). 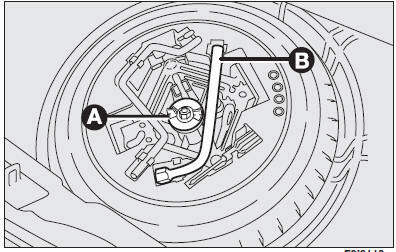 Use the extension shown in the figure to fasten or loosen the inflation valve. IMPORTANT Do not use inner tubes with Tubeless tyres.